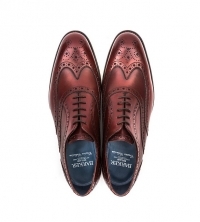 A truly classic design from Barker realised in a unique shade of cherry red, the Jensen Oxford brogue is a must-have style for any sartorially savvy man. 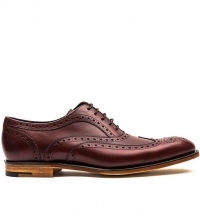 Playing host to Barker’s staple Goodyear weltedThe Goodyear welt construction method is a machine based process named after Charles Goodyear Jr., the inventor of the process, typically found on formal dress shoes. 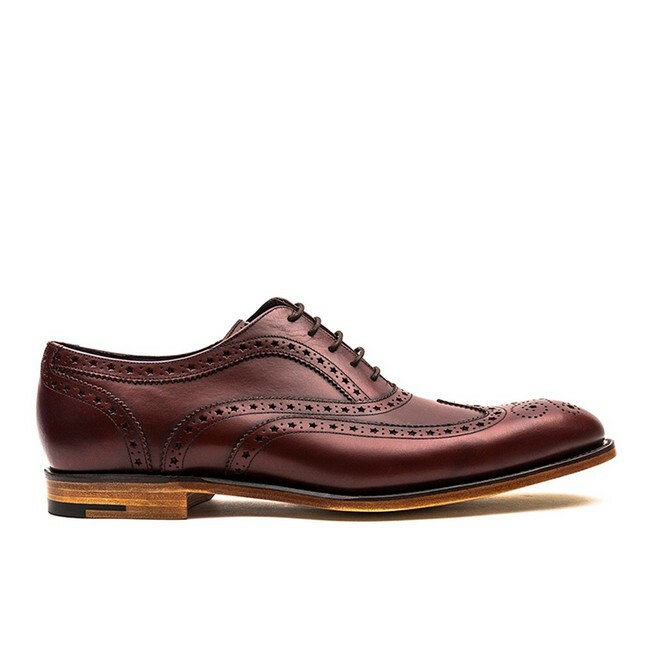 The welt (a strip of leather or rubber that runs along the outsole) is sewn to the upper and is then cemented to the welt. 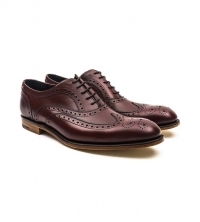 Because of the complicated, multi-part design, the shoe can be re-soled many times extending their life exponentially. construction for added durability and water-resistance, the upper is made from premium quality calf leather, while the sole and lining are also both leather. 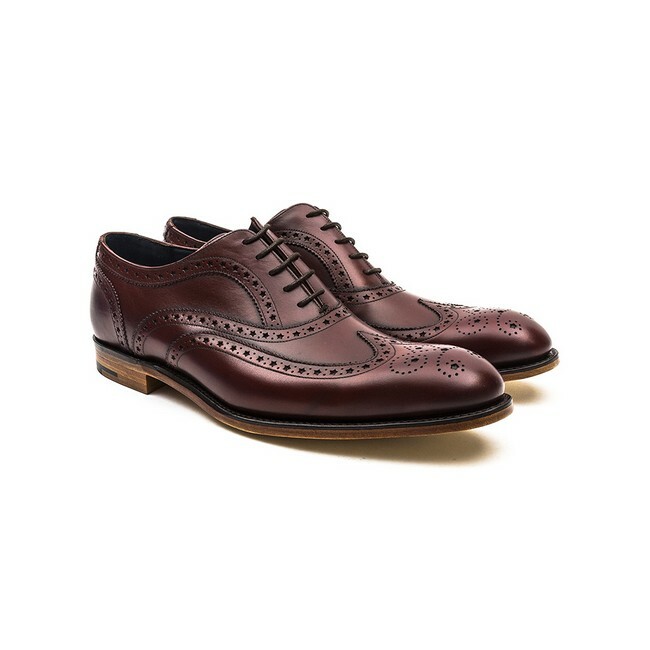 A wingtip toe cap and broguing patterns keeps the shoes versatile. Barker were founded in 1880, and many of the shoemaking techniques they used in those days are still utilised to ensure only the best possible quality is achieved in every pair. The beautiful cherry red colour of the leather and the contrasting dark brown welt means the Jensen can be paired with a huge range of formal and smart-casual outfits with ease, adding character to every ensemble. Includes an extra set of laces.